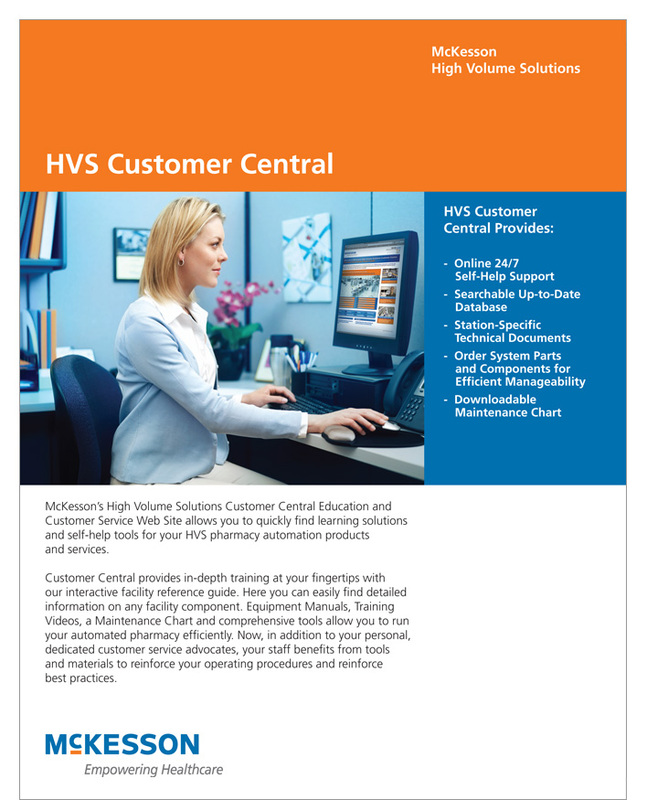 Being the leader in pharmacy automation includes effective communication to your prospective and current customer base. 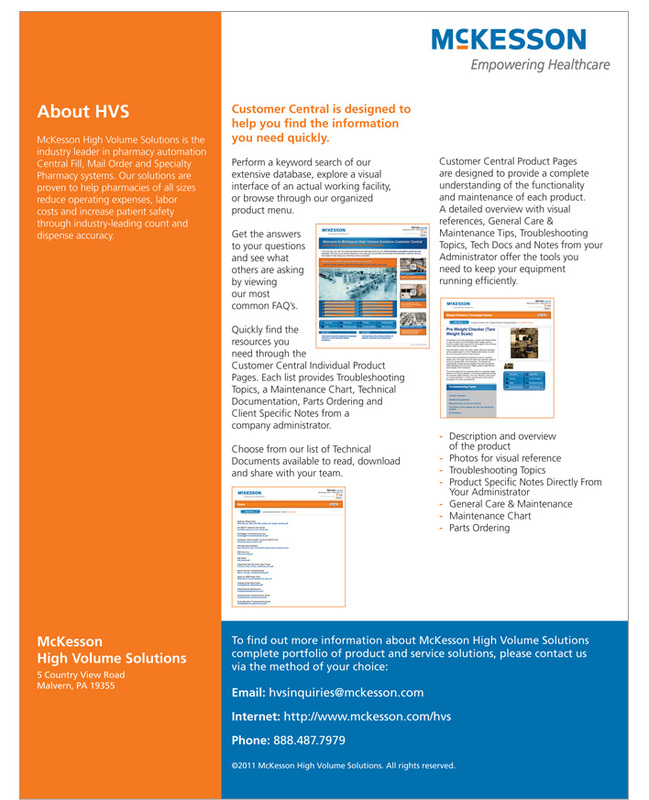 MJC formulated a consistent brand design for McKesson HVS's Customer Central and their other pharmacy automation product sheets. Approved corporate graphics and content are coordinated and uniformly positioned into every sheet for quick reference.